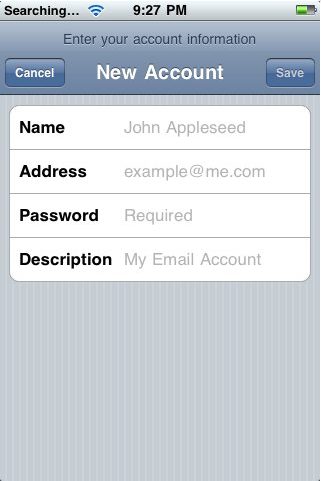 Your iPhone, iPad, or iPod Touch comes with built-in email software from Apple. This walkthrough will show you how to configure your email software to work with your STN hosted email address. Make a note of your email address and your email password so you can reference them when you go through the instructions. 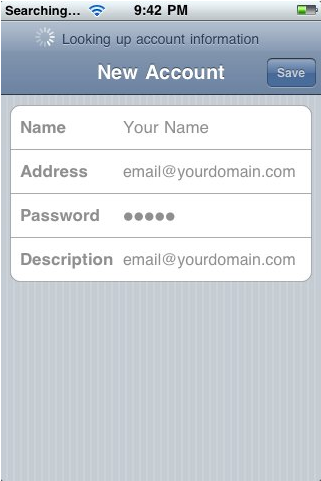 Name: The name you want to display with this email address. Address: Your STN email address. You will now see your main account settings screen. 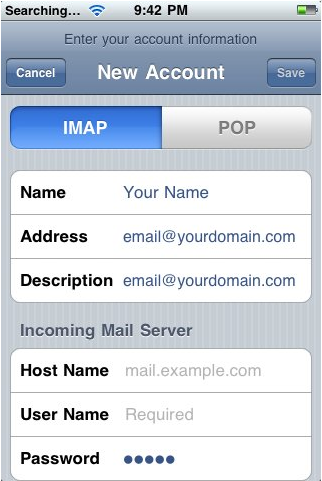 Choose IMAP (keep messages synced to the server) or POP (download messages locally). You may now see a popup that says Secure Connection Failed. Tap Continue. Or, it may say "Cannot Connect Using SSL: Do you want to try setting up the account without SSL?". If it does choose "Yes". you may need to adjust your outgoing email settings. 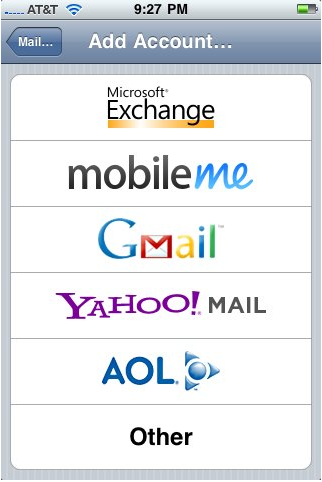 From the Accounts menu, tap your email address. 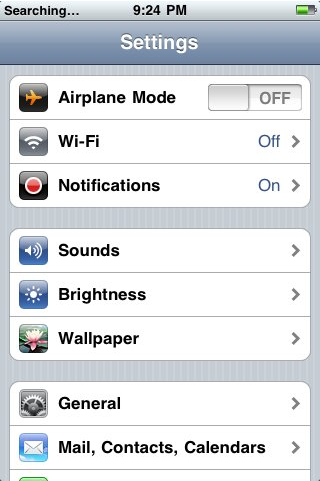 You will see the standard option listed under "On My iPhone". 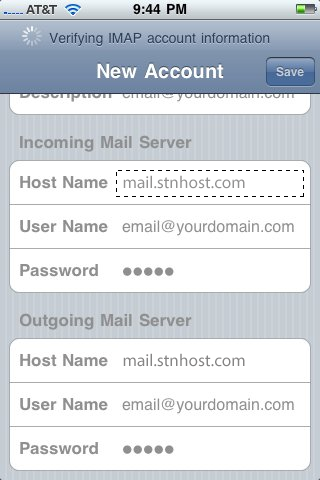 Under this, there should be a list of all your webmail files "On the Server"
Scroll down to the Settings section. (You can set the previous settings based on personal preference). Incoming Uses SSL: If you select this option, your incoming email will be encrypted, which will help (but not guarantee) your email security. However, if you did not purchase an SSL certificate for your domain mail.EXAMPLE.COM, you will get an error when you try to use the encryption. To solve this, you can slide it OFF. Outgoing Uses SSL: If you select this option, your outgoing email will be encrypted, which will help (but not guarantee) your email security. However, if you did not purchase an SSL certificate for your domain mail.EXAMPLE.COM, you will get an error when you try to use the encryption. To solve this, you can slide it OFF. Authentication must be set to Password. Tap Password to make sure that the correct password is entered. If not, retype your email password there. 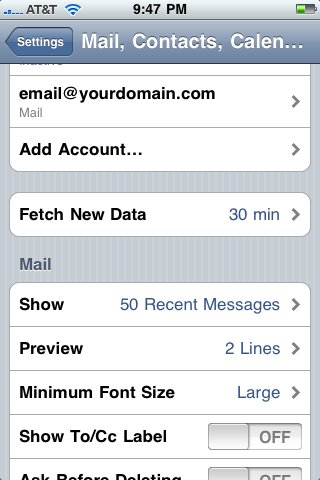 IMAP Path Prefix: Leave this set to default. 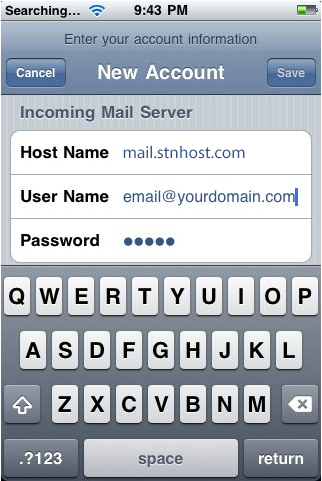 If all of your settings are correct and you are still unable to send email with your iPhone, your Internet Service Provider may be blocking outgoing traffic on the standard SMTP (mail-sending) port. ISPs do this in an effort to cut down on spam. In this case, you should contact your ISP for instructions on how to use their outgoing mail server instead. The email will still be coming from your own email address. It will just route through their servers instead of STN's servers. Step 1. From your home screen, Open "Settings". Step 2. 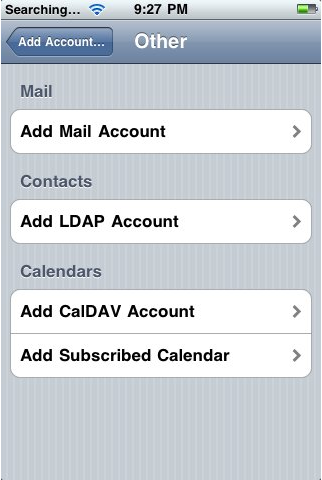 Open "Mail, Contacts, Calendars". Step 3. Hit "Add Account...". Step 5. 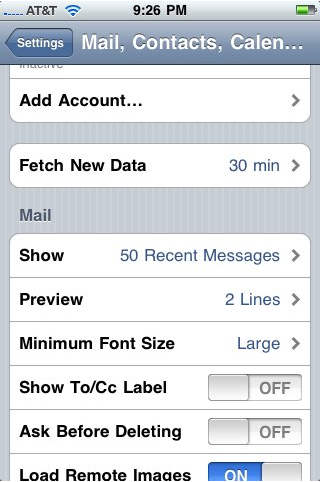 Under the "Mail" section, choose "Add Mail Account"
Step 6. Fill in the information on this "New Account" screen. Your address will be the entire email address, the password will be the password that you set for just this email address. Step 7. 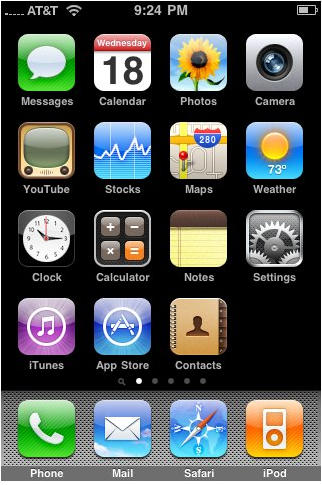 The iPhone will think about your settings, then it will bring you to the next screen. Step 8. You will then be asked to choose between IMAP or POP. This depends on what your personal preference is. In most cases with a mobile device, you will choose IMAP as it will be able to synchronize to other devices that check the email too (i.e. a laptop, a desktop, or another mobile device). Step 11. Hit "Save" in the top-right corner. The iPhone will process your information. This may take up to 10-15 minutes depending on your connection speed. It may take considerably longer if you are NOT connected with WiFi and are only using the regular 3G or Edge connection. It is highly advised that you connect with WiFi. Step 12. 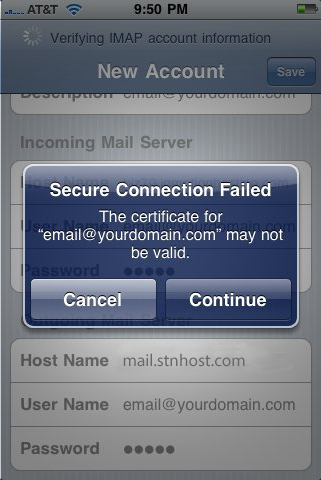 By default the iPhone will try to setup all connections with SSL enabled. If you do not use the correct SSL host name, you may receive an error. If you see an error that says: "Cannot connect using SSL, Do you want to try setting up the account without SSL?" Step 13. Finally, the screen will slide-down out of the way, and your email account is setup!